The right app can improve your child’s learning, help her manage specific challenges—and provide hours of fun! Here are 10 new or recently updated options as of December, 2014. For more ideas, check out Tech Finder. Created by the parents of a child with dysgraphia, ModMath helps kids work on math problems without using a pencil. The app gives students a piece of virtual graph paper. 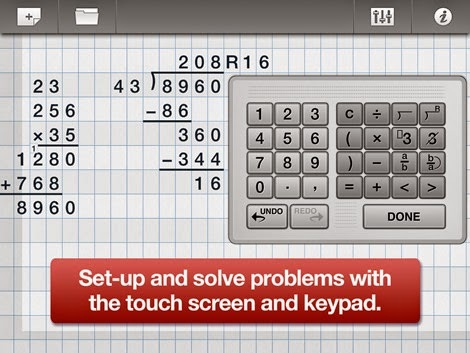 When they click on a cell, kids can type in numbers, math operations and equations. Everything is automatically aligned to be clear and legible. The problems can be saved, emailed and printed. This customizable app lets kids highlight text and have it read aloud to them. AlthoughVoice Dream Reader has been around for about two years, it was updated this year to add more voices and functions. Kids can adjust the voice the app uses and its speed. They can even connect their Google Drive, Evernote and Dropbox accounts to have documents there read to them. All Toca Boca apps focus on open-ended, creative exploration. In this latest release, kids can build a natural environment with forests, lakes and mountains. 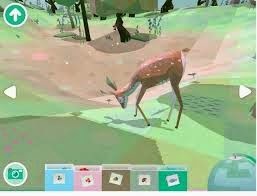 Then they watch what happens as animals (entirely nonviolent in this virtual world) move in. There are almost no written instructions to this game. Kids learn by doing—and seeing how their actions affect their creation. Through animated storytelling, this app teaches young kids academic and social skills, creativity and a love of learning. Each chapter tells a story that includes interactive games, puzzles and songs. You can track your child’s progress in the “Parent’s Pad.” Designed for preschoolers, the app is cool enough to appeal to young grade-schoolers, too. Using guided meditation and breathing exercises, this app helps older kids de-stress, get in touch with their thoughts and feelings and practice compassion. First kids select words and images that illustrate their state of mind. Then the app gives them a list of appropriate exercises. It also tracks their total meditation time and how “settled” they feel. 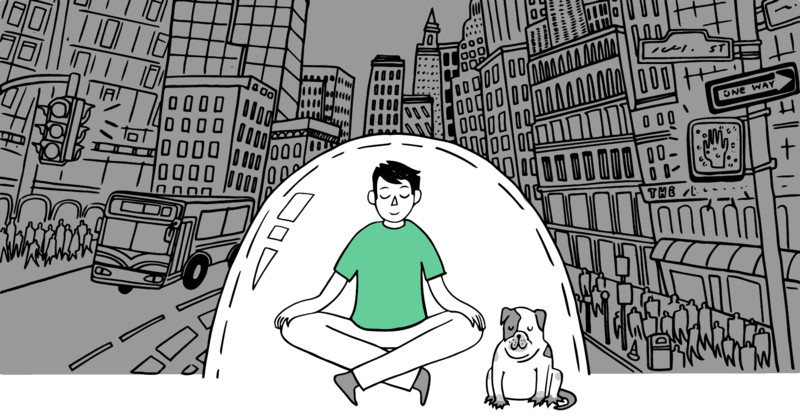 And for beginners, the app includes a primer on how to meditate. Inspired by Rudyard Kipling’s poem “If,” this adventure game helps kids ages 6 to 12 learn social skills and emotional intelligence. Kids create their own dog avatars and travel on a quest through Ziggurat, a fantasy world. In each chapter, they talk with other creatures, make friends and solve problems. Parents can view reports on their progress. Using this app’s touch interface, kids learn math concepts by separating or combining different “dots.” Each dot has a numeric value that corresponds with its size. The 5 dot, for instance, is larger than the 3 dot. If Dexteria Dots challenges a child to produce the value 8, she has to come up with a solution within the time she’s given. There are several different skill levels, and most problems have multiple solutions. Parents can use FTVS to create schedules that combine images, text, sound and even video for their kids, who may find them more fun and easier to follow than text-only schedules. Kids can rate their own progress and customize schedules according to their learning styles. Any schedules you create can be saved, shared electronically or printed. This ad-free newspaper app gives young readers five stories every day. These can range from funny news items to serious articles on topics like the environment and politics. (A child psychologist reviews each article to ensure that it’s kid-appropriate.) Stories include video clips, maps and fun facts. The News-o-Matic app is available in three reading levels. It also includes Spanish and read-aloud options. This app “by dyslexic people for dyslexic people” has a suite of useful assistive technology features for older kids with dyslexia. One feature is a type pad with word prediction software that can help kids create messages for text, email and social media. Another is a digital overlay for reading text through a color screen. There’s also a digital document reader (for purchase) that takes photos of text and reads them aloud.